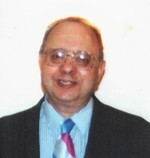 This obituary is protected by copyright by John J Kaczor Funeral Home, Inc.. Proudly Serving the Community of Hamburg. John J Kaczor Funeral Home, Inc. is located in the state of New York, United States.